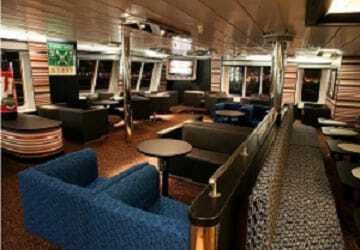 The Stena Jutlandica has excellent facilities to keep you occupied during the trip between Sweden and Denmark with a choice of bars, restaurants, the luxury Stena Plus Lounge, a kids club and an on board shop. 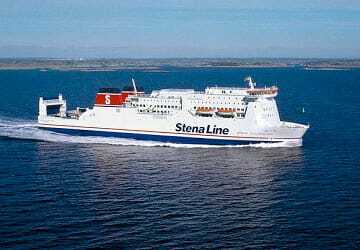 Due to the short crossing, there are no available cabins on the Stena Jutlandica but if you want to arrive all relaxed then book a reserved seat in the Stena Plus Lounge. In addition to a comfortable seat during your trip you also get priority boarding. At the C-View bar and cafe you can relax and enjoy a freshly ground coffee as well as a choice of biscuits while the Cape Horn offers coffee and simple food and you can watch the big screen TV whilst enjoying your drink. At the Food City restaurant you can get both hot and cold dishes though you’ll need to book a table in advance to be sure to get a seat for the duration of the crossing. 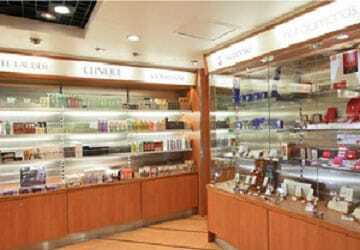 During the crossing you can shop to your heart's content in the Stena shop. Here’s where you’ll find genuine bargains and a wide variety of brands, from paperbacks to the latest perfumes. 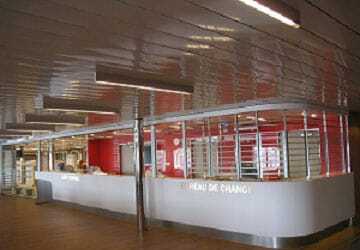 The ship has a baggage storage facility and at the information desk you can also purchase WiFi cards. 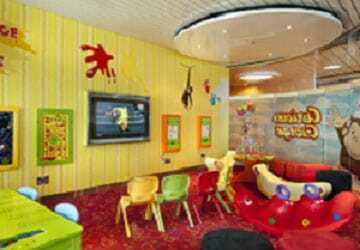 Next to the Food City restaurant on deck 8 you will find the kids play area where children can play, watch films and play computer games. 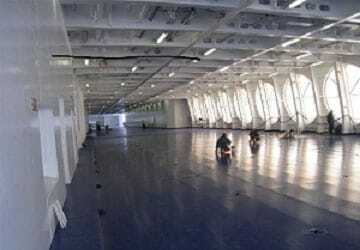 All facilities are located on deck 7 or 8 and accessible by elevator. Passengers in wheelchairs have access to all facilities. Please inform Stena Line staff at the check in so they can attend to your needs and assign you a parking space close to the elevator. Please Note: Whilst we have taken great care in making our Stena Jutlandica guide as accurate as possible, onboard facilities, services and entertainment may vary depending on the date and time of year that you travel, facilities mentioned may change without notification and ferry companies reserve the right to operate vessels other than those mentioned at time of booking without prior notification. Very nice trip, good facilities spot on time and good food too ! Very c Good value too !! "Easy to book and use"
Although it was busy with many children running around, we were loaded on time, left on time, found great seats at the front, and arrived on time with no problems all the way. Good trip easy loading and unloading. Pleasure to use. Very easy to book and very easy to board. Immigration was a breeze and no problem with customs at the end. Quick and easy to disembark. English widely spoken and public address system used English. nice start to our trip along the city and coast of Goteborg. 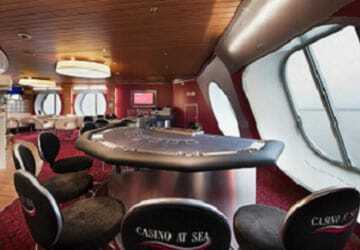 The ship is beautiful, neat and spacious. It was not too crowded, plenty of seating. There was a cancellation of our departure, due to technical failure. 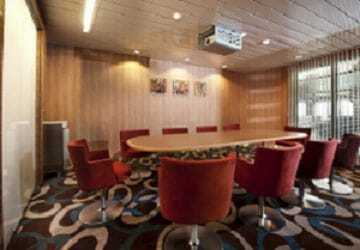 We decided to take the later sailing which was properly arranged by Stena Line, without any additional fee. We were kindly helped in English. Reaching Directferries was another story, more than half an hour on hold and then lost connection, and we had expensive phone bills calling from Sweden! Really frustrating and annoying. Unfortunately our trip with Jutlandica the 21/7 was suspended due to a collision with another ferry. Thankfully Stena Line sent a text to me the day before so that we coult travel to Jylland from Sweden in another way. We had to find out on our own what happened to our paid trip though. It's all good now - at least we think so. Could not always understand directions, especially when to get down to the car. I really liked the way the cars were organized. We could find our way back easily. Good ship. We didn't eat but judging by the large numbers waiting for the buffet seatings, many did. It was punctual and efficient and saved us many road miles. Very nice trip. The staff was friendly! I recommend the trip to Norway. Everything was good, good service. However we were a bit irritated when we sat down and had breakfast, the staff removed our plates before we were done. A very nice dinner buffet with fresh food and good service. What we would like is somewhere to keep your purchases from the shop during the crossing so you don't have to carry it around. In June, I travelled on board the stena Lines ferry to Frederikshavn (car with trailer). 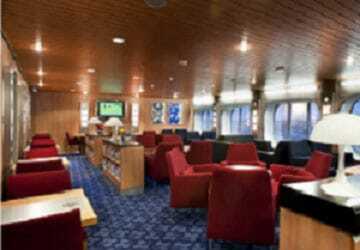 Everything was well cared for, and stena Lines had a ship that provided a lot of attention to the passenger. Good facilities and friendly staff. The trip was a pleasant one. 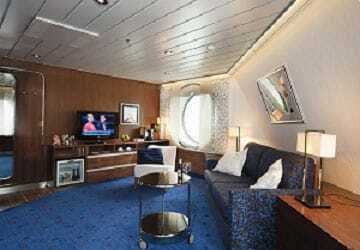 A very comfortable trip easy booking, comfortable cabins, most enjoyable. "our first trip with you"
Dear Direct Ferries Team Already at our arrival in your building where we had to make the check in I was delighted: clean, helpful and friendly woman at the check in desk, clean toilet etc.. nice place to wait for the ship, and it just went on like this on the boat. Thank you so much for this immensely positive experience. 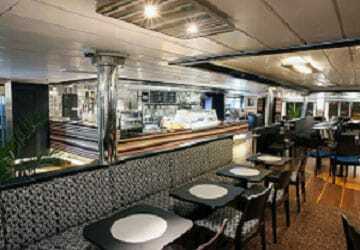 "Good crossing of 3 hrs 30 mins"
Travelled during spring break on board this ship, at 20.15. Check-in went well and the ship left on time. The facilities on board are ok. Travelled back at 00.30, the only negative thing is that you have to eat and drink quickly because the shops are closed when the ship is ready to leave.